The World’s First Interactive Sports Drink Bottle | LEADER OF THE TRACK. Keeping hydrated is vital for any athlete, particularly endurance athletes who sweat it out during training and competition. Staying hydrated helps increase our strength and endurance and contributes to our overall wellness. The HydraCoach is the world’s first interactive water bottle that tracks your real-time fluid consumption, paces you throughout the day and motivates you to achieve and maintain optimal hydration. – A personal hydration calculator: Automatically calculates a recommended daily Personal Hydration Goal. – Drink monitor: Monitors the total amount of fluid consumed through the day. – Average Consumption Display: Displays the average amount of fluid consumed per hour. – Time tracker: Displays the amount of time elapsed for the day to reinforce proper pacing. – Sip Tracker: Displays the amount and percentage of fluid consumed relative to your Personal Hydration Goal. 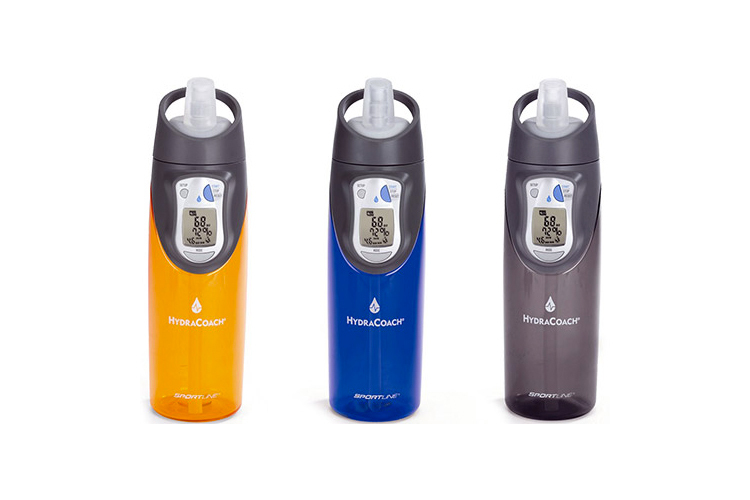 Purchase the HydraCoach- the first ever interactive drink bottle. ← The Nike Terra 2 Trail Shoes Review.